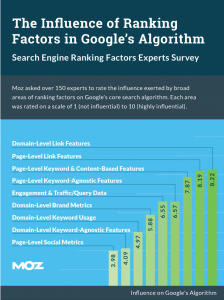 Moz looked at the influence of ranking factors in 2015 through Google’s Search Algorithm by questioning over 150 SEO experts how areas of ranking factors are performing, with a rating given out of 10 for each area. Here are the results and thoughts we gathered from the statistics. The results from Moz’s Search Ranking Factors Survey. It’s as simple as saying that links are really valuable to your website’s success. They may have declined in recent years in favour of new methods to boost optimisation, but they are still the bread and butter of every website, and what’s more is that they truly play a part in Google’s algorithm according to Moz. This relates to PageRank and link numbers including external links and trust obtained from Moz’s ranking system. This is deemed of high importance in determining which websites to trust and which to avoid, which ensures only the highest of quality content is produced. These features refer to keyword terms in content, title elements and the quality of posts and sources. The fact that this is rated as a highly influential factor in is showing the changing face of content, leaning towards more white hat-based SEO. These features include the use of non-keywords, individual pages and features of said pages and sites. Moz found that HTTPS has a lack of correlation with Google due to the length of URLs and the length of time taken for the server to respond. This involves SERP engagement metrics, web traffic and clickstream data on both Moz’s domain and page levels. The higher the traffic the more authority is given to you right? It still appears that quality is much better than quantity no matter how much web traffic you receive, hence it’s lower than expected rating. This includes the use of a domain/brand name in all forms of media, from press releases to entity association and mentions of the domain in news outlets and browser data. What we can understand from this is that whilst the mention of a domain or brand name throughout websites and other media forms will improve recognition and awareness of said business, but is not crucially imperative to Google’s algorithm and does not affect search rankings. 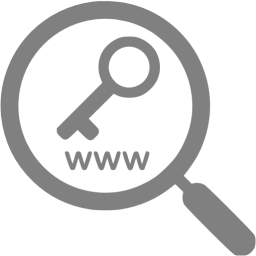 This refers to the character length of domain names related to the root domain. Moz found that there is little change or relationship with the most common domains used (such as .com, .net & .org) and Google’s own ranking. The number of likes, clicks, shares and interactions on social media platforms, from Pinterest to Facebook and Google+. Although social media sharing is paramount to a lot of websites’ success it is still in its infancy, which is why top-quality links and high authority sources are still paramount to the boosting of your website. Keyword Research is a huge factor to optimising your site correctly, but what has changed in its purpose from Google’s search algorithm? What does this mean for the future of searching? Moz, along with the experts that participated in the survey, predict a huge jump in mobile usage over the next 12 months including an increase in mobile app friendliness and clickstream data from external search results. With more smartphone users now more than ever websites are keen to make their sites and pages mobile-user-friendly along with boosting the speed of sites and navigation and general accessibility for the user. A lot of different elements of SEO are changing, from anchor text usage to the importance of backlinks, which will make SEO companies follow the same growing trends in technological advances and potentially branch out into new SEO territories. 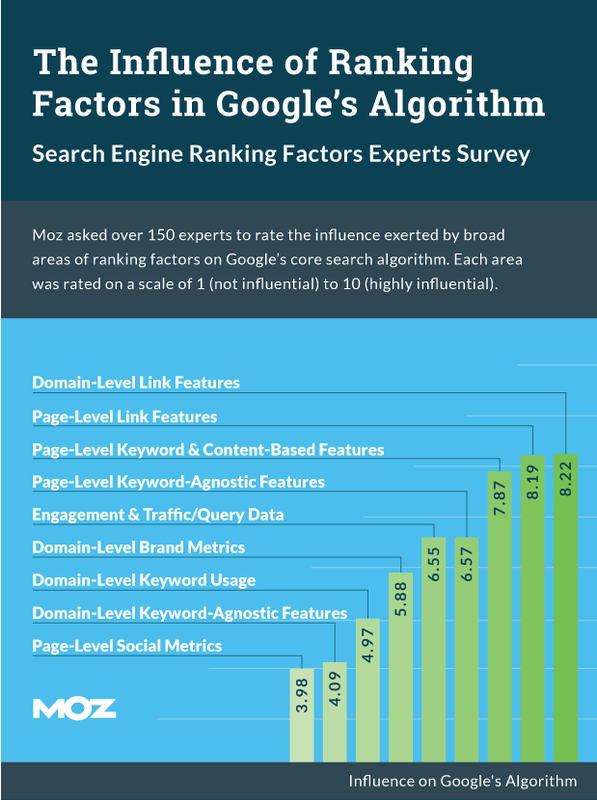 You can find out more about Moz’s search engine ranking factors on their website. Previous Previous post: We play by Google’s rules to give you deserving rankings with our SEO services!